Effortless weight loss without dieting, hunger or deprivation. This summer my clothes are looser and more comfortable than they were last year. You can take this juicing for weight loss thing as fast or as slow as you like. My recommendation? Slow. We’ve all seen the pitfalls of fast weight loss. It took you your whole life to get to where you are today, what’s a few more months? Although I have put effortless weight loss at the top of this list, it is not my number one goal, rather it is a delicious side benefit – but what a wonderful one it is. #Grateful. Improved quality of sleep and waking refreshed and leaping out of bed early, no alarm clock required; my body knows best when its time for me to wake up – earlier and earlier every day, it seems. Useful for writing and journaling time. Fabulously enhanced energy and bundles of it. My mojo is back, feeling emotionally even more powerful, positive and upbeat. Greater mental clarity (not that any was needed, but I noticed it anyway) and even better focus and memory too. There are all sorts of indications of improved health e.g. fabulous fingernails which are stronger and less likely to split or flake or break. More flexible joints. This is really exciting for me as my knees have been painful and stiff since 2005. This lessens every day, allowing me to be more physically active – walking, lifting, gardening etc. …needing to get out of bed in the night for a wee less frequently, sometimes even sleeping the night through. Amazing! Haven’t done this since 2009. Improved eyesight, yes really! One day recently I got out of bed and thought I must have accidentally slept in my contact lenses I could see so well. This was the first indication; now my reading glasses need a new, lesser prescription. Improvements to my skin which was always soft but now needs less constant moisturising externally as it is increasingly hydrated from within. Excellent digestion. Less wind. ‘Nuff said. Speedy healing and repair of things like scars, bruises, scratches, bumps, normal every day wear and tear. Every day there seems to be some small but noticeable improvement which is highly motivating. Awesome nutrition from plant-based foods which are calorie light but nutrient rich. The possibility of accidentally becoming a vegan. Yup, I know. How weird does that sound? So less and less wheat, meat and dairy. See President Clinton’s video. If it’s good enough for my hero Bill, it’s good enough for me. And more… to follow and share later in Part 2. I’ve written my story up in an eBook which is 25 pages long and packed with juicy ideas, inspiration, recipes and resources. Its available immediate for a donation here at my website and I’ve started a Juicing With Judith group for those who would like to juice along with me and enjoy all these benefits too. There are tons of resources I’ve been experimenting with and I’ll be sharing what’s worked well for me so far. Join the Juicing With Judith Google Group at only £10 a month for accountability and hand-holding as you embark on your healthy journey. Stay as long as this is helpful, no strings or strait-jackets. Book a personal 1-2-1 Skype consultation with me and let’s talk about your own personal situation and how I think (mostly) green juicing and healthier eating will improve your life (and business). “I just tried an apple and lemon juice – thought I should ease myself in gently. It was LUSH!!!!!! Thank you Judith. I love your fabulous book x” Susie J, London. What’s all this got to do with profits and entrepreneurial success, Judith? 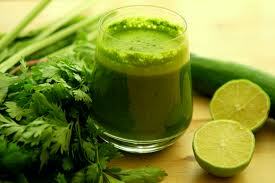 Why should I care about you and your green juicing? How does this help me? Well, it all starts with us, the finest asset of our own small business. Several of my clients are struggling with health issues right now which means they cannot work either at all or to full capacity, which is costly. I have encouraged them along this juicy, healthy path too and their health and productivity continue to improve. It goes with the territory for a business coach; you cannot separate the human being from the entrepreneur and without our health, we are nothing. We cannot take good health for granted and so we must invest in it first. Now, I’ve never made a juice in my life but can’t wait to start. I did briefly try a high protein diet recommended by the nurse at GP surgery and figured within a week that this wasn’t going to work for me. I read (yes, that’s my mojo) The China Report and started eating much more “as nature intended foods” and really noticed the difference of reducing carbs, wheat in particular. I never intended to become vaguely vegan but discovered 3 things: 1) it’s tasty and healthy, 2) it’s really tricky eating out (tough for a Road Warrior) and 3) it’s even more difficult to maintain when you have a committed carnivore sister at home. You’ve reminded me how much better I felt and inspired me to start again and to find a way to make it work! Thanks for sharing Judith. I always meeeaaaan to do my green juicing, but somehow I often end up throwing out a bag of slimy kale before I have got round to ‘enjoying’ it. Must try harder! Keep motivating us my friend.